The diorama is the first part of my weathering project. 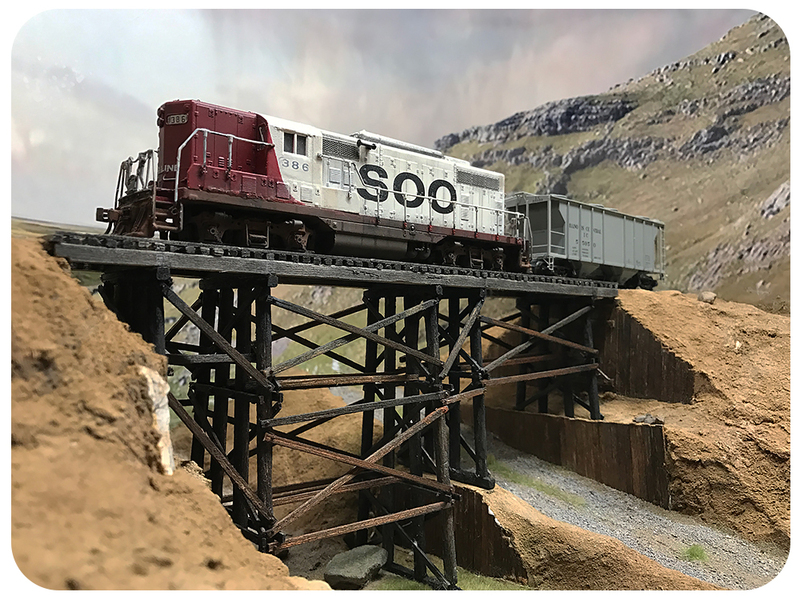 I want to improve my weathering skills but have decided that weathered models are best seen and photographed within a railroad setting. As such I decided to build a diorama photobox where I could have better control of the lighting. 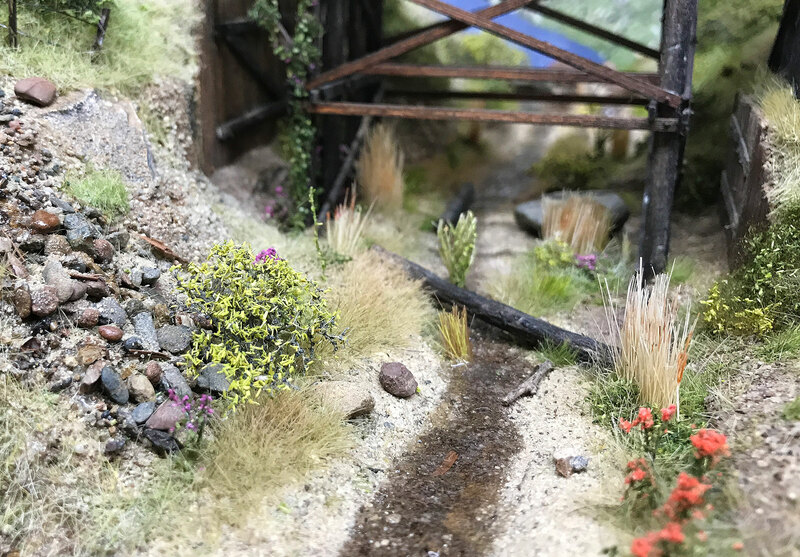 This ‘photobox’ also continues the story of the branchline and the trestle is set within some hills close to the end-of-the-line. The Town module is the second layout dedicated to telling the story of this quiet little branch line. 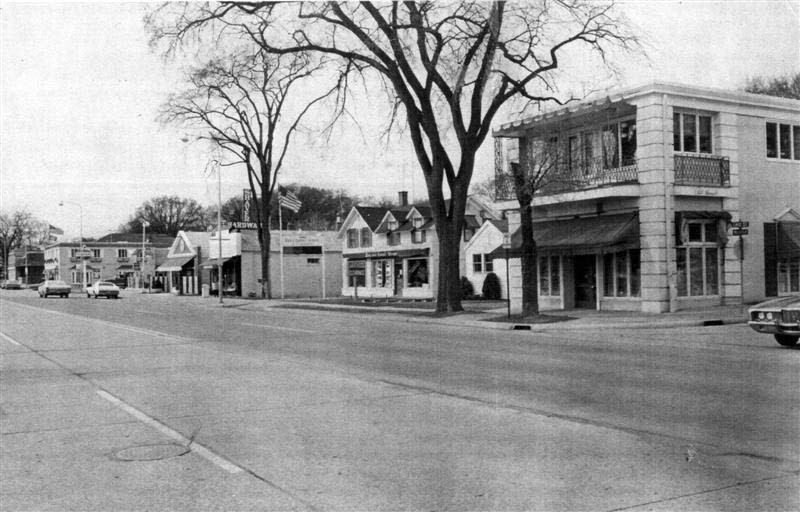 It is set halfway along the 100 mile route and is the branch line’s largest settlement. I decided to take a couple of weeks off from The Town wiring project to focus on some experiments and learn new skills. In particular I wanted to try out Iain Rice’s tracklaying methods for finescale OO track (called P4 in the UK) and apply them to USA track. 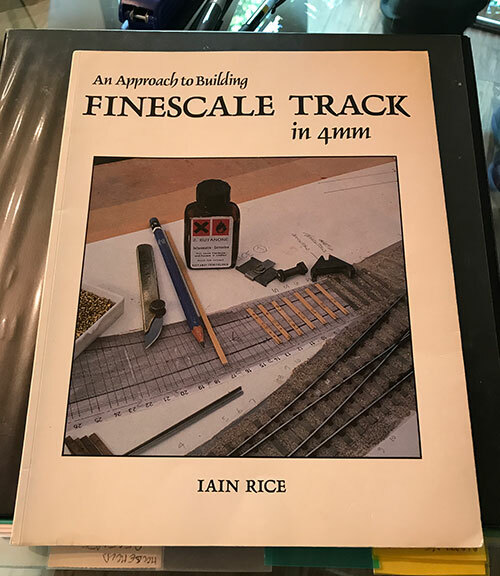 In his 1991 book Finescale Track in 4mm he runs through his tracklaying method process in a step-by step-manner and I had the book in front of me while I conducted my tests and practiced his methods.